Buy Kaleidoscope Abelia online. Kaleidoscope Abelia is one of the most popular varieties of Abelia in the gardening market today. 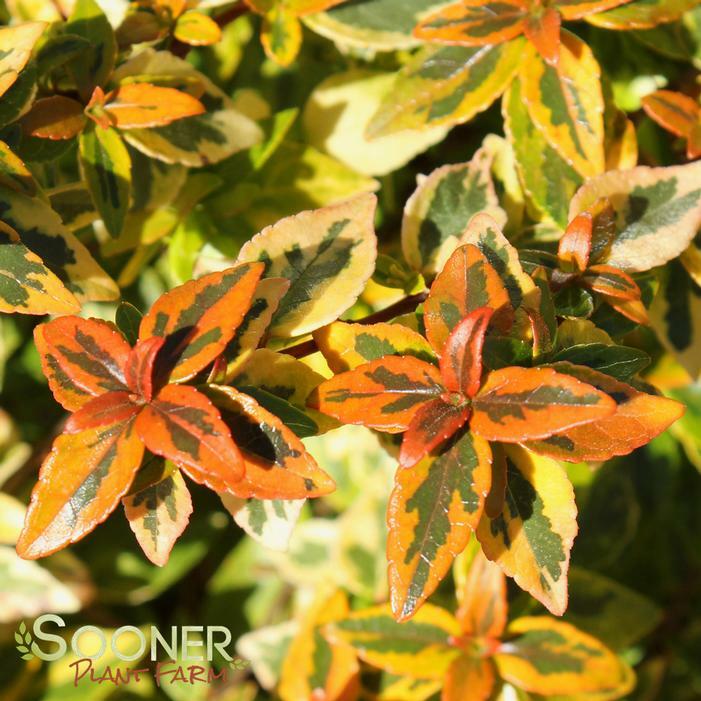 It features multiple colors of variegation through each leaf that gardeners can easily see where this plant gets its name. Foliage color ranges from creamy white to red, yellow to orange, and shades of green. It has white, bell shaped flowers that burst from their pink buds in late summer and keep going well into autumn.For more photos and growing information on this plant click here.